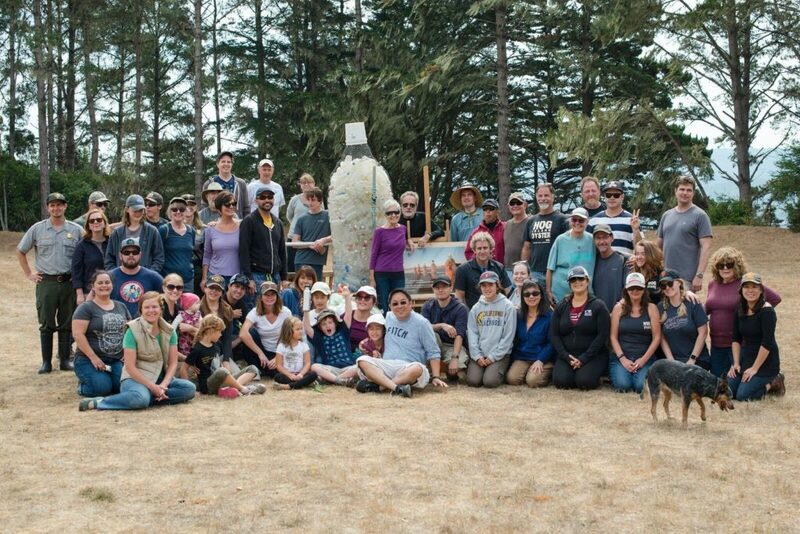 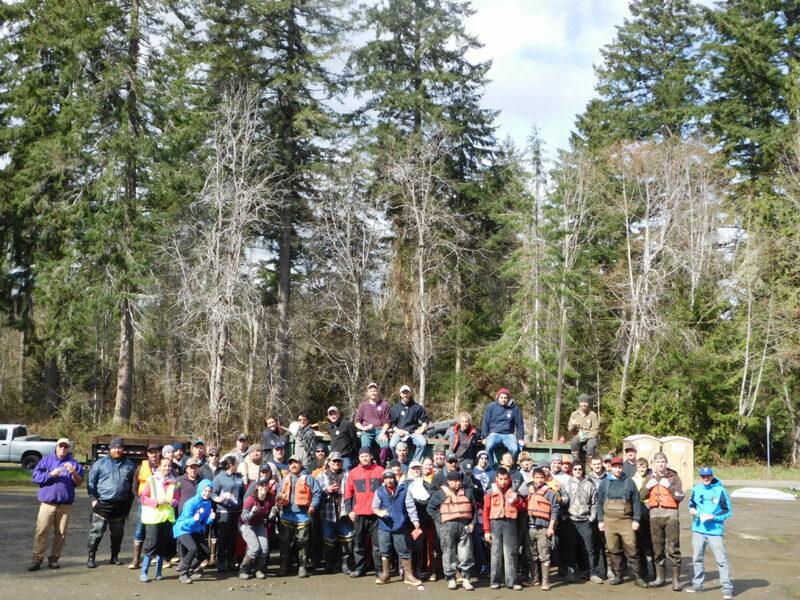 The Pacific Coast Shellfish Growers Association (PCSGA) is gearing up for our 29th Bi-Annual Shellfish Growers — South Puget Sound Beach Cleanup on March 28, 2019. 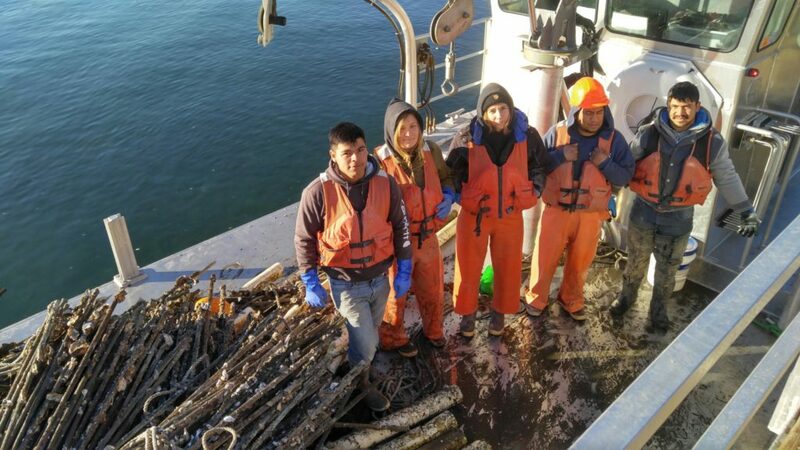 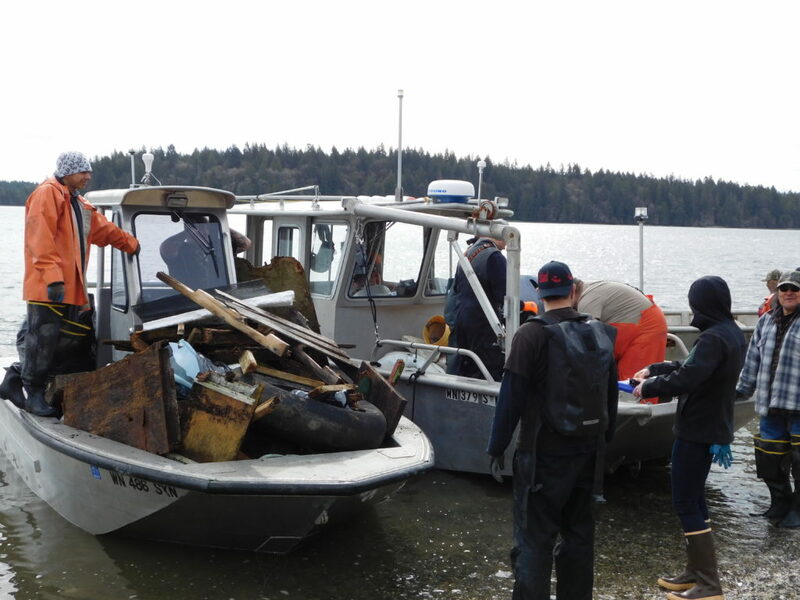 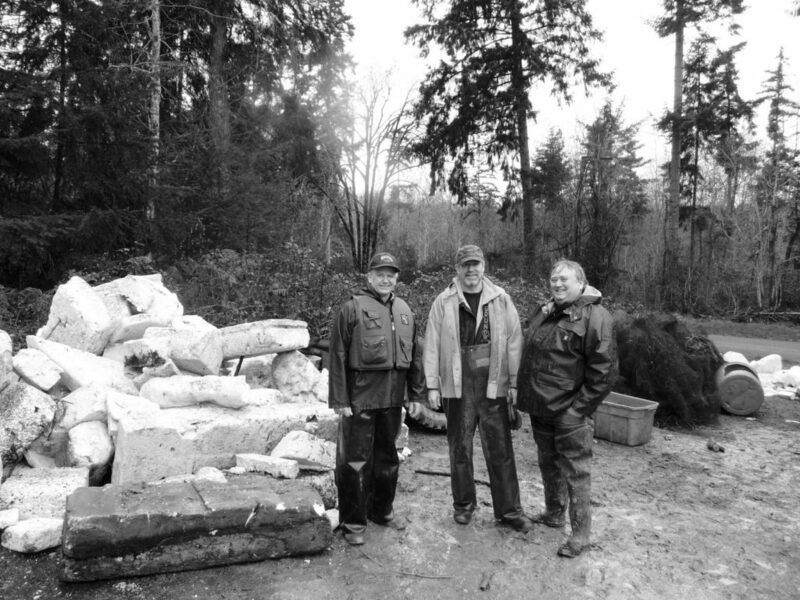 Twice a year, shellfish growers join forces with state agencies and non-profit organizations to remove debris from local beaches in South Puget Sound. 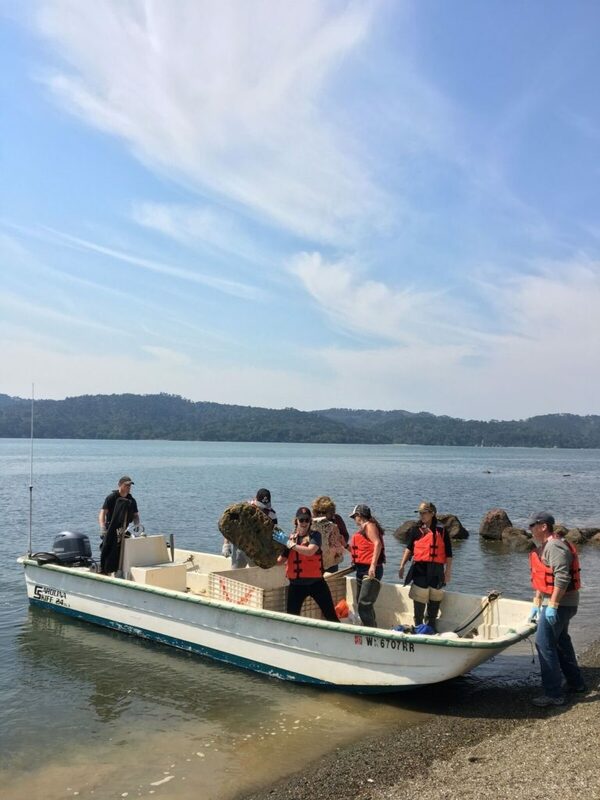 In the March and October, a force of about 120 volunteers and 25 boats will head out to scour approximately 100 miles of shoreline for marine debris of all types. 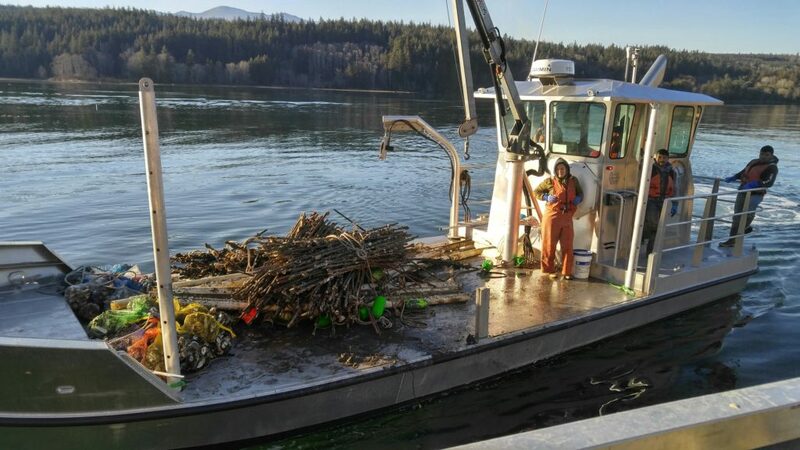 Debris is then transported by vessel to either of the two land-based sorting stations at Arcadia Boat Launch in Shelton and National Fish and Oyster in Nisqually. 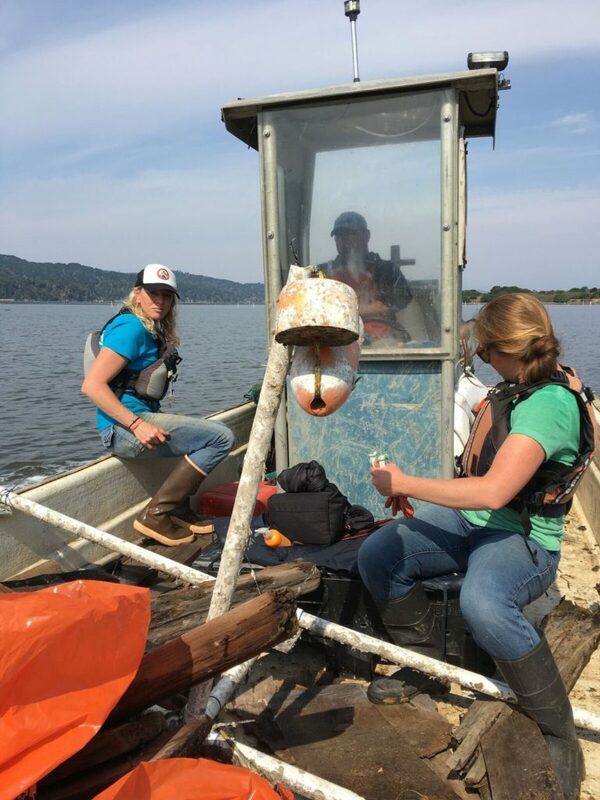 Over the last 15 years, the shellfish industry has expanded, and yet the composition of debris collected during these cleanups remains fairly constant — with debris NOT related to shellfish aquaculture making up 80% of the collection. 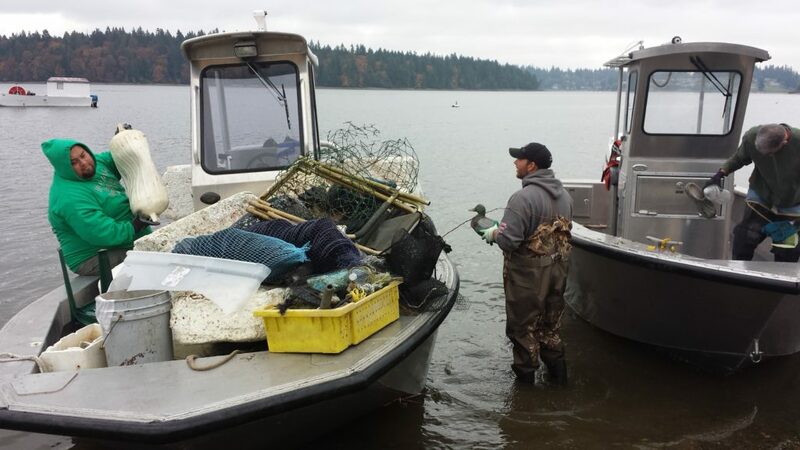 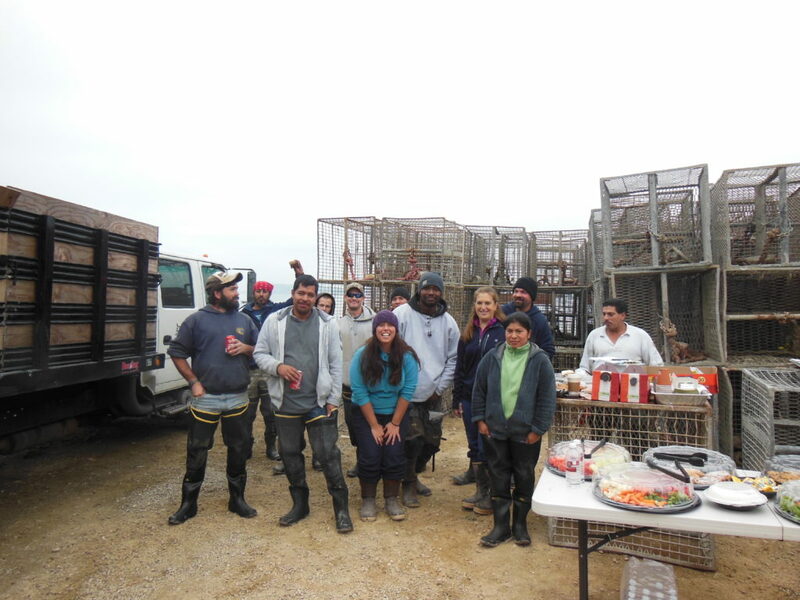 Of the small amount of shellfish gear recovered, about half is typically returned to shellfish grower’s farms, instead of the landfill. 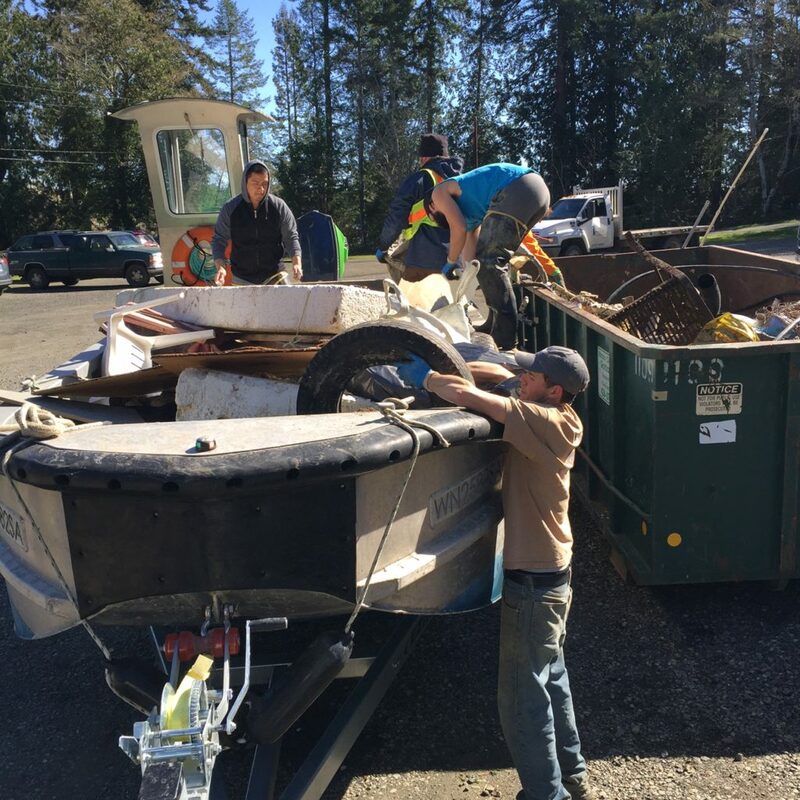 It is one of PCSGA’s primary goals to work with our members to minimize the amount of gear escaping from farms during storm event, and cleanup gear that enters our waterways. 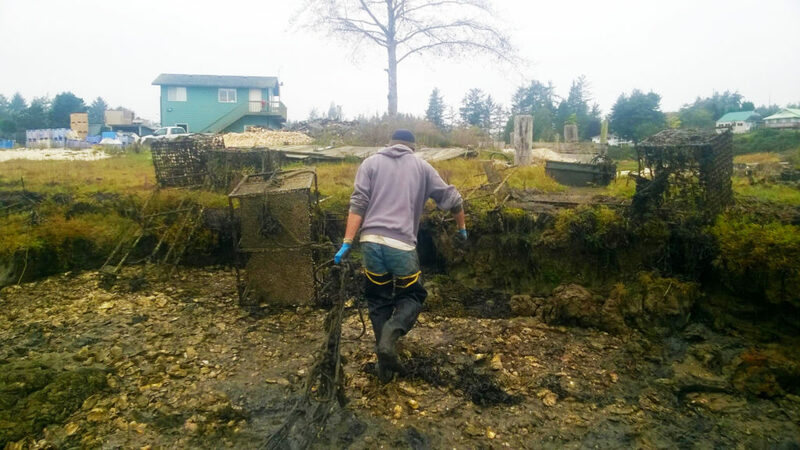 Keeping our beaches clean is a group effort and shellfish growers acknowledge their role in taking care of the shorelines where they farm. 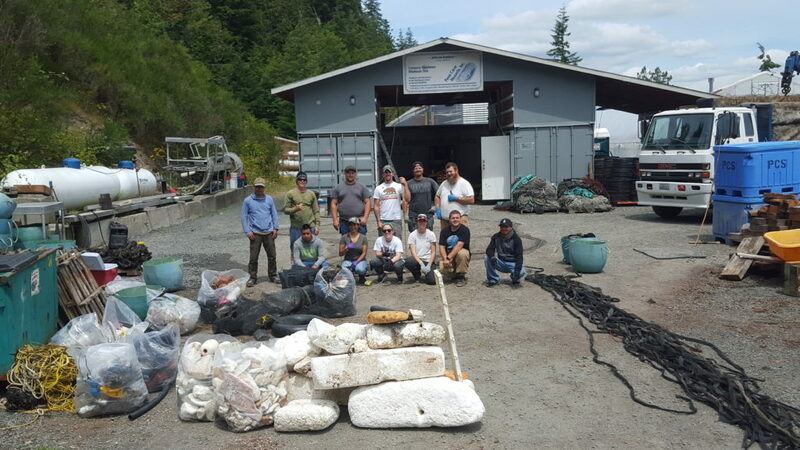 The cleanups are a reminder for growers to continuously maintain the integrity of gear on farms and demonstrate their commitment to protecting and preserving the ecosystem. 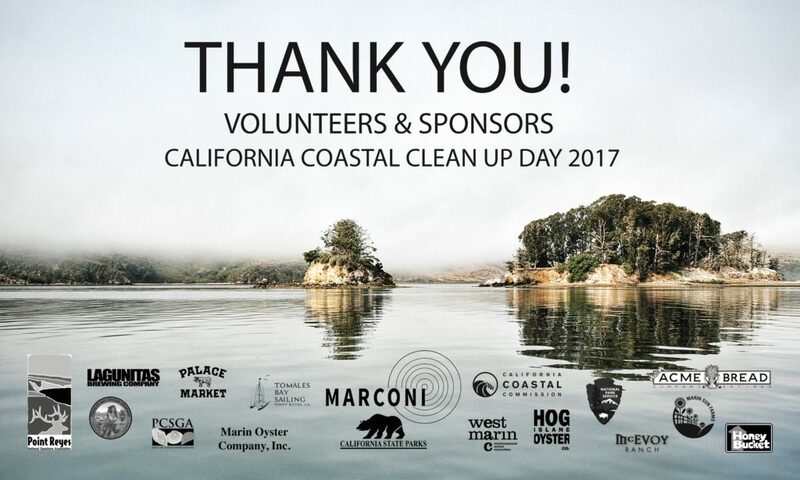 PCSGA can never offer enough thanks to all who give their time and energy to this cause year after year, and what a difference each pair of hands makes toward this tradition of environmental stewardship! 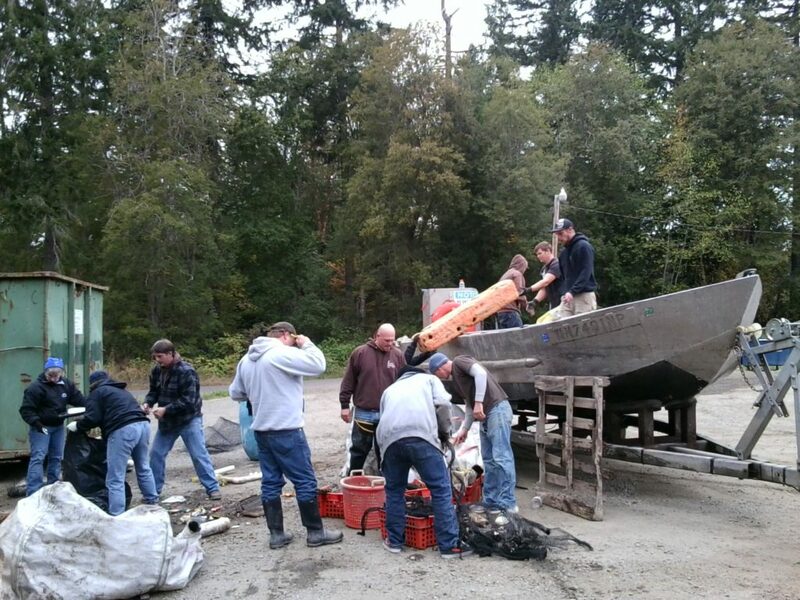 Fees to dispose of the debris are raised at PCSGA’s annual community event, SLURP in Olympia. 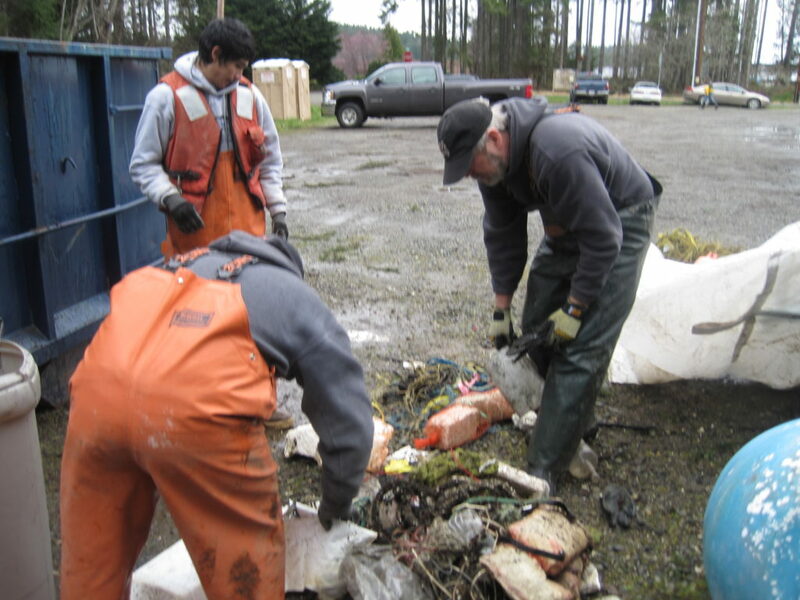 If you see debris along the shoreline or in the water, please report it to the PCSGA Marine Debris Hotline (360) 489-0141, or email saragrant@pcsga.org. 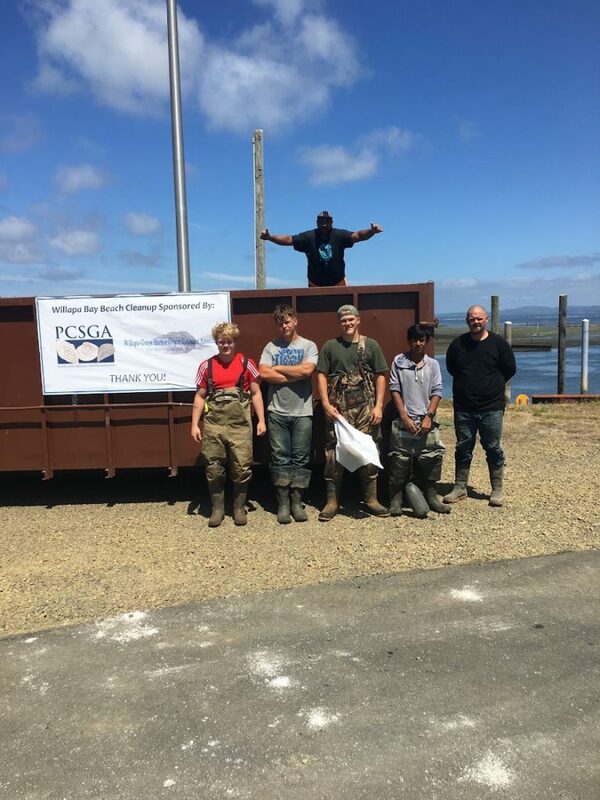 PCSGA Partners with Washington CoastSavers at their International Coastal Cleanup throughout Pacific County and Grays Harbor County, WA. 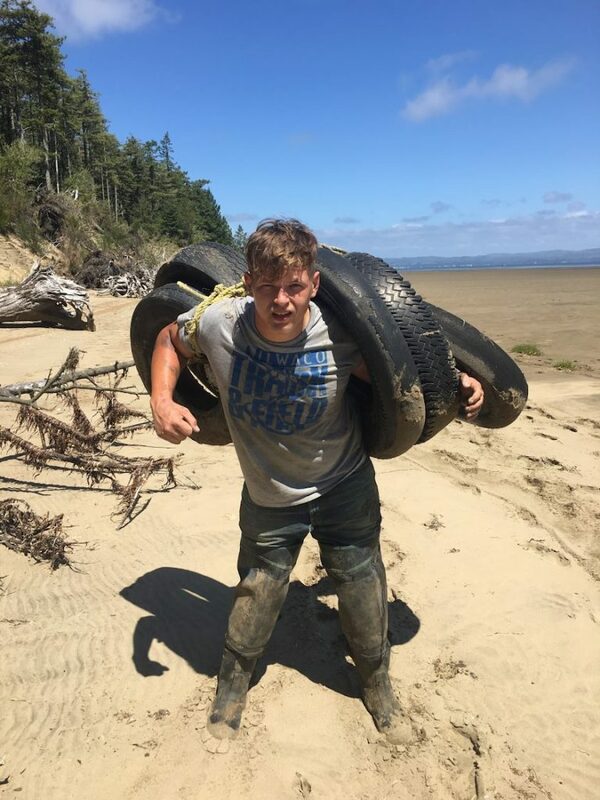 PCSGA supports shellfish growers conducting beach cleanups along the west coast!